1. If you are able to increase your costumer retention rate by a mere 5%, the profits of the company may go up by 75%, according to Bain and Co.
2. The Pareto rule is true as it ever was: 80% of your success (read: future sales) will come from 20% of your current customers (source: Gartner Group and “Leading on the Edge of Chaos”, Emmet C. Murphy and Mark A. Murphy). This is where email marketing comes in. Email marketing is simply a form of communication via email that (usually) contains a promotional message. 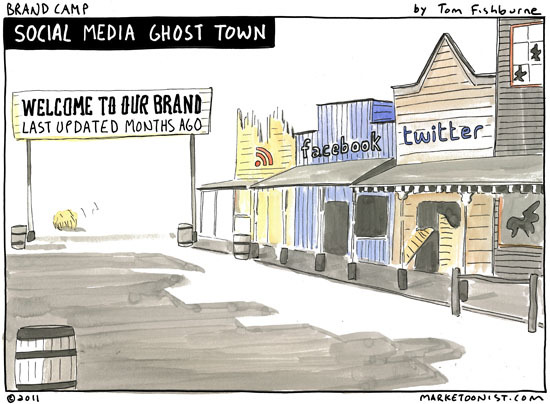 With email, you can easily and quickly reach your audience and keep your brand in your consumers minds. In this article I will discuss how to effecitvely avoid email spam filters and reach maximum email deliverability rates. This article will help you to send email newsletters that reach the people’s inboxes, and will help you craft your emails so that a higher percentage of people habitually open, read and react to your emails with pleasure. When sending out email, there are a few things that are important: obviously, you want people to open your emails. You also want them to be interested in the message that the email carries, and you want them to act on the call to action that should be embedded within all of your emails. 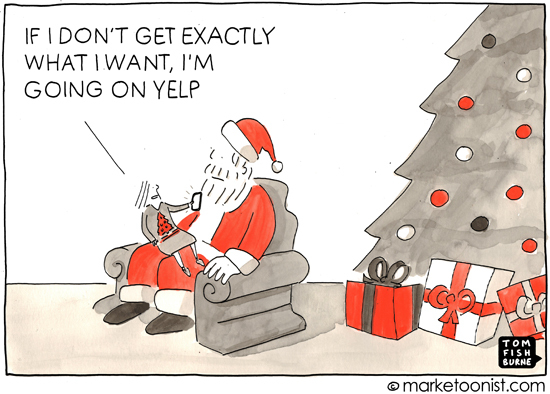 Unfortunately, companies often misunderstand how to achieve this and end up shooting themselves in the foot; they tend to send out generic emails to their whole list. That will get many of your subscribers to either unsubscribe (opt-out) from the list or even report the emails coming from the company as spam. When your subscribers consider your email spam, they won’t open your next emails, even if by some divine luck those emails hit their inbox. That means that you’ve just lost a customer or a lead. Note: Most people unsubscribe from an email list either because they are receiving too much emails from a company, or because the emails they receive are not relevant to them. 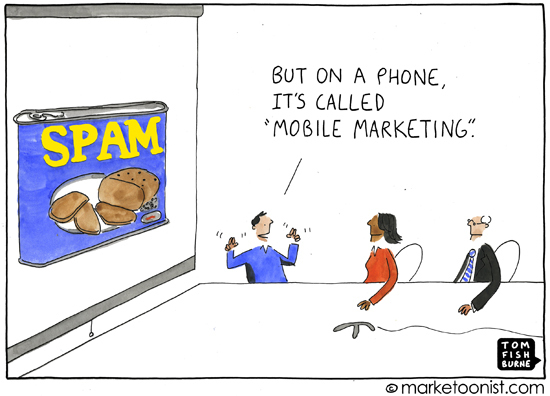 What is Considered a Spam Email? Leads to whom you can send out emails legitimately include people that have subscribed to receive your emails within the last three months (these are called email subscribers, or opt-ins), or people that you have done business with in the last six months. A classic example of people whom NOT to send email include people form purchased or 3rd party lists of any kind, including email dresses scrapped from the internet. Please note: Even if all your contacts have opted-in into your list because they wanted to receive messages from you, your email can still be considered spam – if your list is very old for example, or if you send emails that are totally unrelated to what people on your list signed up for. Email spam filters use a rating system for the emails you send out. Based on the rating, the filters decide whether or not your email will end up in the spam folder. If there are too many negative responses to your email, the spam filter will get triggered. Negative responses to your emails are instances in which your emails get reported as spam, emails that bounced and emails with low engaguement rate (example would be emails that most people don’t even open). Specifically, the filters check whether your email subject lines and copy use words that are most often associated with spam (see tip six), whether or not your email HTML code is clean (make sure it’s responsive! ), whether or not links inside your email copy are good (good links would be those from the domains that spam filters haven’t already labeled as spam), and whether or not you use a good email delivery system like – shameless plug – Campayn, something that is discussed in a bit more detail in tip number eight. Then, there are somewhat special cases, like the one mentioned in tip seven. Spammers always try new tricks to fool the filters. Those tricks do work for a while, but filters catch up with spammers fairly quickly. The last thing new filters look at is how subscribers interact with your emails, as discussed in the section below. Note: Emails that never get to their destinations are emails that “bounced”. You have surely at some point received a “Failure to deliver” message from a mailer-daemon – that was a bounced email. From our experience, when people buy an email list, or when they mail out to a very old list, they would often get an atrocious 30-40% bounce rate! No good. Top level email service providers such as Gmail, Yahoo Mail, Outlook, etc. use a fairly new addition to their filter – they count how people engage with your emails! If subscriber engagement is sub-par, the email might not just end up in the “social” or “promotions” inbox in Gmail, but might even be sent into the spam folder. The same goes for other top level email service providers. Note: Activity or engagement equal email opens and clicks on links found within the emails. Getting your email reported as spam, or even not getting your emails opened because you sent them to uninterested parties hurts your reputation, which in turn hurts your future email deliverability rates, especially with the top level email service providers like the ones mentioned above. 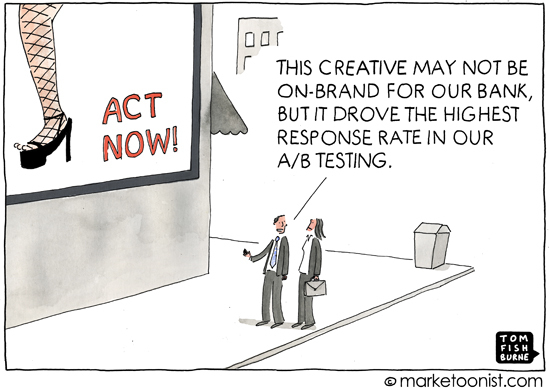 Tip 1: Use a Clear Call to Action! It baffles me how many emails (and articles all around the web, for that matter) don’t have a clear CTA, a call to action. A CTA is a message that tells people what you want them to do. Go to the bottom of this article and you will see that I’ve made it clear what I would like you to do once you are done reading this blog post – I would like you to share this post, I would like you to feel free and ask any questions you may have and I would also like you to check out the awesome, easy to use email marketing services Campayn offers, primarily to small business owners. That simple. 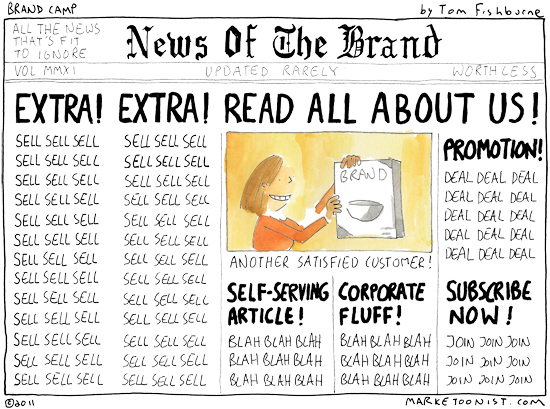 The problem is that many newsletters get sent out without a clear CTA. The subscriber doesn’t know you want him to buy a product you were raving about in the email, unless you tell him so clearly – “Get this awesome product or check out more reviews on our site, click here now” – or just asking people to share the article they’ve just finished reading – would be good, clear examples of telling people what you expect them to do after digesting your message. We advise removing people who do not respond to your emails from your list, or at least to send emails to them occasionally, instead of regularly. We already went over how important it is to have people interact with your emails, in order to have the email hit people’s inboxes instead of their spam folders. It would be good practice to send inactive subscribers an email asking them whether or not they want to remain on your email list. Offer them a chance to personalize the way they receive email from you. Also, let them choose what kind of emails they want to receive from you; if you’ve properly segmented your list, you should know what kind of messages to send to different segments of your subscribers. Check out in Tip 10, in which we’ve talked about the perfect unsubscribe email. It doesn’t hurt repeating that relevance is one of the main reasons people unsubscribe from receiving further emails form a company. That is why we suggest that you segment your email list properly and by doing so achieve maximum relevance. That way, you will be able to send offers only to people that will likely be happy to receive them. This will increase your email open and interaction rates. We consider anything above 10% as an OK email open rate. Companies often just send out salesy emails. Don’t do that. Instead, inform your customers. Help them. Surprise them with a gift! They will appreciate you for it, and your open rates will skyrocket. Our client, a bakery from Croatia, occasionally mails their list by sending them images of newly baked cakes. As images of food are always interesting in and off themselves, their emails serve as a good reminder to their customers, telling them that the company is still around and that they are still making those sweet, irresistible, mouthwatering cakes. Another client of ours mixes it up a bit. 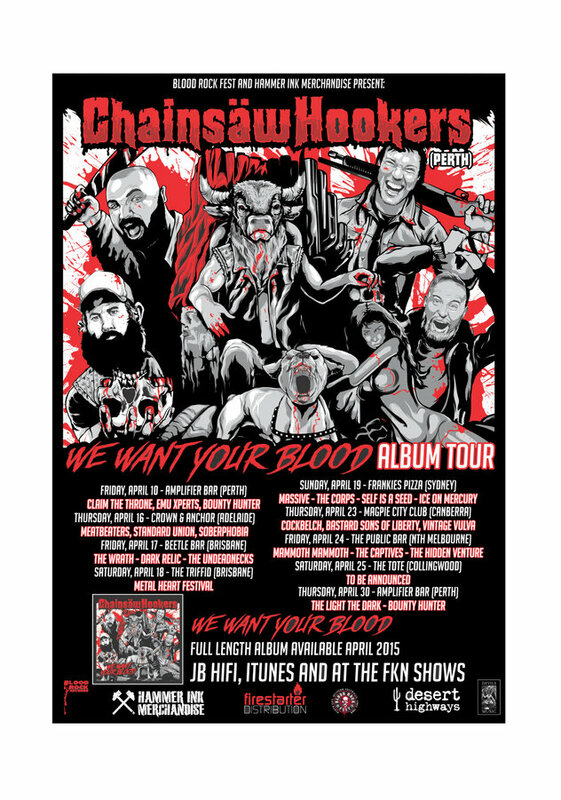 They are promoting a new album tour by the band called Chainsaw Hookers, and are offering CDs on presale. But, they do add value to the promotional offer by pointing you to places on which you could listen to the bands new hit song (on either SoundCloud or Youtube). The Chainsaw Hookers are having an album promo tour all across Australia… and if their music is as good as their emails, I’ll meet you there! This picture kind of says it all, doesn’t it? To achieve maximum deliverability rates, it is important to take some time and think of an awesome subject line. Think about what would get you to open the email you are just about to send out, and write that as the subject. The subject is the most important asset you have, as it will determine whether or not people will click and open your email. Coppyblogger estimates that eight out of 10 people read the headline of the article, while only two out of 10 people will read the actual article. Email subject line is equally important to an email, as the headline is to an article. Best practices include writing short and concise subject lines, with either your first and last name and your company, or just your company name included. Be sure that you tell your customers what they will find inside the email. 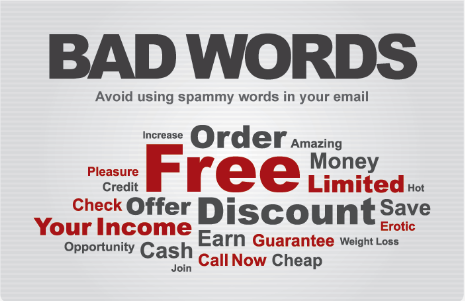 Avoid using spammy words in the copy – Viagra for example… buy, get now and similar sales words also impact the filter, but a lot less than “viagra“. It would be best if you didn’t use any of these words in your email subject, but obviously you can use them in your copy. Just don’t overdo it. Still, even if you’ve had some of the words mentioned above in your email subject line, if you follow other advice given in this blog post, your emails should hit your subscribers inboxes. Tip 7: Don’t Send Emails Containing Pictures Only! Your email should have at least a paragraph or two of text to effectively pass the spam filters. Not so long ago, spammers used to send out emails that contained pictures only. That is why current iterations of spam filters are likely to put email messages containing images only in the spam folder. Spam filters of the past used to rely on blacklists only. Blacklists track IP addresses from which (spam) mail comes, and they also track domains which repeatedly get linked to in those spam emails. 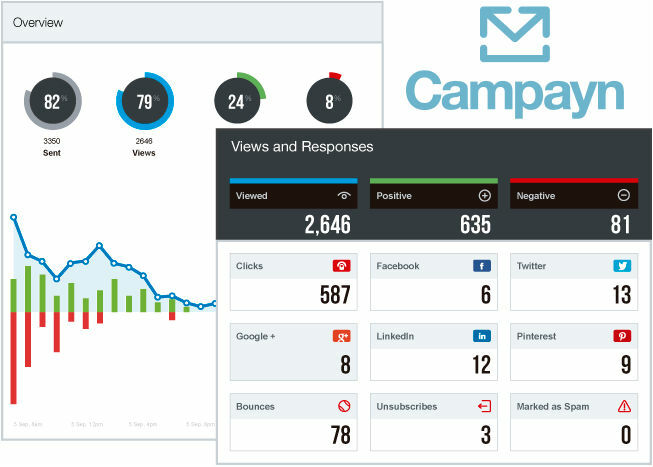 It is important to choose a good email marketing service that blocks out spammers pretty much as soon as they register (like Campayn does), as you don’t want your domain and IP address to have a bad reputation with the spam filters. At Campayn, too much spam reports means that the sender received more than one spam report per every 1000 emails sent. For bounces, an alarm goes off when we detect a 15% bounce rate, or higher. Be sent as soon as someone subscribes to your email list. 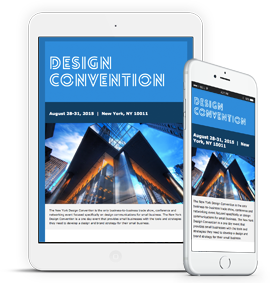 Use an alluring email subject and preview text. Personalize the email as much as possible (by using your subscribers name). Remind your subscribers why it is that they subscribed in the first place. Maybe offer them something for free, like a voucher, a free ebook that they might find interesting or offer any other incentive you may think of to have your consumers anticipate your next email with pleasure. Be brief and focused with the email copy. What exactly are you unsubscribing from? Seeing as a huge portion of unsubscribes happens either because subscribers receive emails from a company too often, or because they find the emails irrelevant to them, it stands to reason to take the unsubscribers back to your page and ask them why they want to unsubscribe. Instead of just offering them an unsubscribe confirmation button, you should also offer them the chance to modify their preferences. You could offer to send them emails monthly instead of weekly for example, or you could have them receive emails only from a specific category (segment) that they are interested in. Or, maybe they just don’t like email? Tell them to follow you on social media instead. How knows, they may turn out to be social media fanatics, and will gladly follow your company on Facebook, Twitter, Pinterest, or wherever else you happen to be active at. Tip 11: When is the Best Time to Send out Email? Judging from our experience, the best days to send out emails and get the best response rates would be on either Tuesday, Wednesday or Thursday. Emails sent on Mondays tend to have significantly lower open and click through rates. Fridays seem to be dead, but not as dead as the weekends. As far as time of the day goes, the best time for sending emails seems to be during the first working hour of the day (9am to 10am). Sending out life changing, property and finance related emails is best done between 3pm and 5pm. 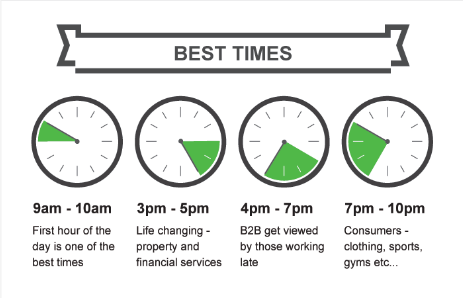 If you are pitching a B2B related product or service, we recommend you send out your email between 4pm and 7pm, as these would get red by people who work late. Finally, sending email between 7pm and 10pm would get best results if you are selling consumer goods – like clothes, sporting goods, etc. Customers often ask us how often should they send out email. There is really no set answer and it entirely depends on how ofthen you have something to say and what your audience likes and responds to. When you think about the number of times you want to mail out to your list, please keep in mind that one major reason people unsubscribe from a mailing list is that they simply receive too much emails from a company. As already noted, another reason people unsubscribe is because emails are not relevant to them. Redecorating your office might be something that is important to you, but I would hold out on mailing out pictures of the new office to everyone that ever subscribed onto your list, as that is a piece of information that people would likely not be interested in. Although we are not overly active on our Facebook page, and use our Twitter mainly for tech support, we do understand that many of our clients cross-promote their brand across multiple channels. And this is good practice. You can use your emails to encourage social interaction, be it to get people to visit your site, or to get them to share an article you just finished writing and that your audience would find helpful and interesting. Thank you for taking the time to go through the article! I want to follow my own advice and encourage social sharing, so if you found reading this blog post helpful, please share it with your friends via the social sharing buttons found below – I’m sure they’ll appreciate it! If you have any questions, please feel free to ask them in the comments, and I will do my best to give you an answer as soon as possible. Also, do check out the awesome service we offer here at Campayn – you can send out 20.000 emails to up to 2.000 people on your list, free forever, no catch. We’ll even help you get set up! – Sign up now! What do you exactly consider by inactive subscriber? The one who haven’t opened last 10, 20, X campaigns? From our experience, someone who hasn’t opened your last 8 emails, won’t open your future emails as well. The number can vary depending on how often you send emails, but this seems like the right rule of thumb.